It is often claimed that the human retina is poorly designed because it appears to be placed in the eye backwards. This design requires that light travel through the nerves and blood vessels in order to reach the photoreceptor cells which are located behind the eye’s wiring. This design also requires the nerves to pass through the retina in an area that lacks photoreceptors, producing a blind spot, the focus of this paper. One reason the blind spot is not a problem is that the brain uses information from the retina only to construct an image and does an excellent job of dealing with the many “blind spots” such as shadows, reflection problems, dim light, and dirt on a person’s glasses. Furthermore, the blind spot is located in a region used only for peripheral vision to scan beyond a person’s main focus for areas of potential interest. One major argument for the existence of a creator is the “argument from design,” a conclusion that means the design existing in creation proves the existence of an intelligent designer. Darwinists try to disprove the argument from design by providing examples of what they claim are poor design to argue that the living world is not designed but is the result of blind, natural, and impersonal forces. This view is called the blind watchmaker thesis by Oxford professor Richard Dawkins (1986). The blind watchmaker is in reference to William Paley who used the illustration of that, just as a watch proves a watchmaker, so too the natural world proves an intelligent creator. engineer would naturally assume that the photocells would point towards the light, with their wires leading backwards towards the brain. He would laugh at any suggestion that the photocells might point away from the light, with their wires departing on the side nearest the light. Yet this is exactly what happens in all vertebrate retinas. Each photocell is, in effect, wired in backwards, with its wire sticking out on the side nearest the light. The wire has to travel over the surface of the retina, to a point where it dives through a hole in the retina (the so-called “blind spot”) to join the optic nerve (Dawkins 1986, p. 93). Fig. 1. A cross-section through the human eye. The retina is at the back of the eye, and the blind spot is indicated. it betrays its origin with a tell-tale flaw: the retina is inside out. The nerve fibers that carry the signals from the eye’s rods and cones (which sense light and color) lie on top of them, and have to plunge through a large hole in the retina to get to the brain, creating the blind spot. No intelligent designer would put such a clumsy arrangement in a camcorder, and this is just one of hundreds of accidents frozen in evolutionary history that confirm the mindlessness of the historical process (Dennett 2005). Every organism shows features that are functionally arbitrary or even maladaptive. . . . My chosen classic is the vertebrate eye. It was used by Paley as a particularly forceful part of his theological argument from design. As he claimed, the eye is surely a superbly fashioned optical instrument. It is also something else; a superb example of maladaptive historical legacy . . . Unfortunately for Paley’s argument, the retina is upside down. The rods and cones are the bottom layer, and light reaches them only after passing through the nerves and blood vessels (emphasis added) (Williams 1992, p. 72). eye, for all its effectiveness, has a major design flaw. The optic nerve, after accumulating information from our rods and cones, does not travel directly inward from the retina toward the brain as any minimally competent engineer would demand. Rather, for a variety of reasons related to the accidents of evolutionary history . . . optic-nerve fibers first head away from the brain, into the eye cavity, before coalescing and finally turning 180 degrees, exiting at last through a hole in the retina and going to the brain’s optic regions. The result is a small blind spot in each eye where the optic nerve leaves the cavity of the eye itself, where it should never have strayed in the first place. (By contrast, the eyes of an octopus, lacking the troublesome historical constraints of human eye evolution, gather appropriately on the far side of the retina, from which they travel directly to the brain. There is no blind spot) (emphasis added). (Barash and Barash 2000, p. 296). One difficulty with attributing the design of organisms to the Creator is that imperfections and defects pervade the living world. Consider the human eye. The visual nerve fibers in the eye converge to form the optic nerve, which crosses the retina (in order to reach the brain) and thus creates a blind spot, a minor imperfection, but an imperfection of design, nevertheless; squids and octopuses do not have this defect. Did the Designer have greater love for squids than for humans and, thus, exhibit greater care in designing their eyes than ours? (Ayala 2007, p. 154). the mollusc eye does it right. In the mollusc eye (typified by the octopus, squid and chambered nautilus, all of which have excellent vision) the optic nerve spreads out under the retina, and each nerve burrows up through the retina and ends with the light sensor on the surface of the retina, pointing towards the lens. This means that there is no attenuation of the light before it reaches the active components. (Just incidentally, this also means that molluscs have no blind spot. 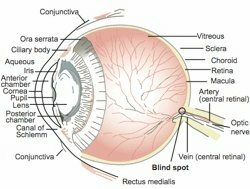 Vertebrates have a blind spot because there are no light receptors at the location where the nerve passes through the retina. The mollusc design is completely practical, but vertebrates don’t use it. Our design is second rate. This alone is sufficient to demonstrate the inelegance of our eyes (Den Beste 2001). none is more often cited by creationists in their attempts to refute natural selection than the human eye. In their opinion, so complex and perfect an organ could only have been created by design. Yet while it’s true that our eyes serve us well, we would see even better if they weren’t flawed by some bad design. Like other cells in our bodies, the retina’s photoreceptor cells are linked to a network of blood vessels and nerves. However, the vessels and nerves aren’t located behind the photoreceptors, where any sensible engineer would have placed them, but out in front of them, where they screen some of the incoming light (Diamond 1985, p. 91). A leading American Darwinist, Brown University professor Kenneth Miller, also claimed that a prime example of “poor design” is the human retina, a design that Miller claims reflects poorly on an intelligent designer. To Miller the human retina provides clear evidence that a designer God of life does not exist. Rather, it demonstrates to him that the eye was not designed but, instead, evolved by mutations and natural selection. Another example straight out of creationist tracts involves the vertebrate eye that humans must share with the other vertebrates . . . the vertebrate eye shows poor design when compared to the eye evolved by the cephalopods. The vertebrate eye has a blind spot where the retinal nerves and the blood vessels exit the eye. There is no comparable blind spot in the cephalopod eye. The structures of the retinas spell the difference . . . . Clearly the cephalopod solution to retinal structure is more logical, for they have the photosensitive elements of the retina facing the light. Certainly the creationists need to explain why we got the inferior design. I had thought that people were supposed to be the Creator’s chosen organism (Thwaites 1982, p. 210). It is because we evolved from sightless bacteria, now found to share our DNA, that we are so myopic. These are the same ill-designed optics, complete with deliberately “designed” retinal blind spot, through which earlier humans claimed to have “seen” miracles “with their own eyes.” The problem in those cases was located elsewhere in the cortex, but we must never forget Charles Darwin’s injunction that even the most highly evolved of us will continue to carry “the indelible stamp of their lowly origin” (Hitchens 2007, p. 82). The so-called backward retina is considered a suboptimal design primarily due to its simplistic comparison with a camera. In Diamond’s words, requiring light to pass through the nerves and blood vessels is the opposite of how an engineer would have designed the eye, and “a camera designer who committed such a blunder would be fired immediately” (Diamond 1985, p. 91). Edinger concluded “the vertebrate eye is like a camera with the film loaded backward . . . if an engineer at Nikon designed a camera like that, he would be fired” (Edinger 1997, p. 761). We now know that the camera analogy is very inadequate (Werblin and Roska 2007, p. 73). The reason for the retina design has been fully documented elsewhere and will not be repeated here (Bergman 2000; Dowling 1987; Kolb 2003; Martínez-Morales, Rodrigo, and Bovolenta 2004). Our focus here is on the blind spot problem only. Most invertebrates possess a verted eye type (where the rods and cones face the light source); most vertebrates (including mammals, birds, amphibians, and fish) possess an inverted type of eye, where the rods and cones face away from the source of light. Most verted eye types are comparatively simple, at least compared to inverted design, although a few types, such as the cephalopod eye (squids and octopus), are almost as complex as the vertebrate eye (Abbott, Williamson, and Maddock 1995; Land and Nilsson 2005). Even the better verted eyes are still “overall quite inferior to the vertebrate eye,” a conclusion usually determined by measuring performance in response to visual stimuli (Hamilton 1985, p. 60). Neurobiologists have yet to determine how such a negative system of operation might be adaptive, but they marvel over the acute sensitivity possible in rod cells. Apparently rod cells are excellent amplifiers. A single photon (unit of light) can produce a detectable electrical signal in the retina, and the human brain can actually “see” a cluster of five photons—a small point of light, indeed (Ferl and Wallace 1996, p. 611). Most potential light interference caused by traversing through several tissue layers in front of the retina before reaching the photoreceptors in an inverted eye is overcome by visual processing. When bipolar or amacrine cells transmit excitatory signals to ganglion cells, the ganglion cells are depolarized, initiating a nerve impulse. Nerve impulses travel along the optic (II) cranial nerve axons which travel to the optic chiasm where some fibers cross over to the brain’s opposite side and some remain on the same side (chiasma means cross). After they cross the optic chiasm, the optic tract fibers synapse with neurons in the lateral geniculate nucleus of the thalamus. The lateral geniculate nucleus neurons then form a passageway called the optic radiations to carry the information to the primary visual areas in the cerebral cortex occipital lobes for extensive processing. It is here where the blind spot is rendered irrelevant. The blind spot does not reduce vision quality for several reasons. One is that each eye sees a slightly different visual field, and a large area overlaps. Although each eye has a blind spot caused by the hole in the retina where the optic nerve (the axons and ganglion cells) passes through in order to travel to the brain, this blind spot falls on a different place in each retina (He and Davis 2001). The information from both eyes is then combined so that these visual blind spots are not normally perceived. As a result, because the other eye fills in the gap, special tests are normally required to even notice it. This system not only eliminates flaws but also produces the binocular visual field that is required to produce stereovision. The blind spot is close to 5° in diameter and is located about 15° from the fovea on the temporal side of the visual space (He and Davis 2001, p. 835). The degree of correction by the brain is so great that it can invert the entire image. Light rays from an object in the temporal half of the visual field that faces away from the nose will fall in the nasal half of the retina, and, conversely, light rays from an object in the nasal half of the visual field will fall on the temporal half of the retina. This optically inverts the image, such as what occurs when a 35 mm slide is projected on a screen by a slide projector. Also, light rays at the top of the visual field strike the inferior portion of the retina, and those at the bottom of the visual field are projected on the superior portion of the retina, again inverting the image. Both the left-right and up-down reversal must be corrected by the brain. The binocular system would be important even if the blind spot did not exist because it corrects for shadows, dirt on one’s glasses, floaters in the eyeball, and other imperfections. Actually the major blind spot is the visual blockage created by the nose, as can easily be seen when one closes one eye. One eye also sees a crescent shaped peripheral monocular visual field that the other eye cannot see, and the same will occur on the opposite side with the opposite eye. Furthermore, filling-in the natural blind spot contributes to binocular rivalry, the necessary slight differences between the two images to form a single three-dimensional image from two slightly different images (He and Davis 2001, p. 835). animals have a way of confounding the assumptions . . . in hypothesized models of optimal behavior. In dealing with the interrelated sensory tasks of maximizing spatial acuity and contrast sensitivity, however, both the “camera” eyes of Old World primates and birds, as well as the compound eyes of diurnal insects, present clear examples of evolutionary optimization . . . The investigator’s task in examining the hypothesis of optimization is therefore to ask how closely the optical performance of eyes of different optical design approaches the limits set by physics . . . Despite the very different modes of design that underlie the construction of the single-lens eyes of vertebrates and the compound eyes of arthropods, similar considerations determine their capacities to resolve images (Goldsmith 1990, pp. 281–282). Specialized neurons deep within the retina project what can be thought of as a set of 12 movie tracks, each one a distinct abstraction of the visual world. Each track is sensitive to a representation of only one specific aspect of a scene that the retina must continuously update and stream to the brain. One track may transmit a line-drawing-like image that details only the edges of objects. Another track responds only to motion, often motion in a specific direction. Other tracks carry information about shadows or highlights (Werblin and Roska 2007, p. 73). Each track is transmitted by a dedicated set of fibers within the optic nerve to the higher visual centers in the occipital lobe of the brain where even more sophisticated processing occurs. Features such as color, motion, depth, and form are all processed in different regions of the occipital lobe. This fact is known because a lesion to a given region can cause a deficit in sensing one specific feature (Werblin and Roska 2007, p. 73). The brain’s ability to sense these specific features originates in the retinal movies. These movies serve as clues that cause the brain to pull its stored “files” on visual images that we all have produced from our life experiences. It is these files that the brain actually “sees.” The brain only picks up enough information to pull out the relevant memory file—and occasionally pulls up the wrong file. This is why we will occasionally notice someone familiar and, after we speak to him; more information input causes us to realize that the person is not the individual that we first thought. Embarrassed, we usually acknowledge our error and walk away. Vision is the sharpest at the macula, an area that is critical in providing the brain with the information needed to construct an image. It allows us to read, watch television, recognize friends, and even walk. This structure is another part of the solution to the blind spot problem. Most of the rest of the retina actually is concerned with peripheral vision. The macula provides information needed to maximize image detail, and the information obtained from the peripheral areas of the retina where the blind spot is located provides both spatial and context information. The macula area is about the diameter of pencil lead but is close to 100 times more sensitive to small visual features than the rest of the retina. An area of the retina in the center of the macula called the central fovea has the highest resolution (and, in particular, the foveola). In this area the neurons in front of the photoreceptors are shifted to the side so that light has a direct pathway to them, resulting in the least distortion in the area where it matters most (Goldsmith 1990, p. 287). The high-resolution macula also uses cones that are more tightly packed to achieve ultra high-resolution color vision. The peripheral retina around where the blind spot is located has lower resolution and consists of mostly rods for black and white vision. The peripheral retina where the blind spot is located functions primarily to survey a large visual area for clues to determine where a person should focus his or her macula for more visual input. Because its role is primarily to inform the brain of locations that requires more informational input, the peripheral area does not need to pick up much detail. This structure allows the person to be aware of a wide visual field but, at the same time, not be distracted by it. This design is a highly effective method to accurately transmit enormous amounts of data along the optic nerve in a method analogous to the zipping and unzipping of a computer file to facilitate computer file transmission. To function, the transmission must be very rapid because the image needs to be refreshed continuously like a pixel television image. The eye’s design actually appears to be optimized around the physical limits of the visible light spectrum (Calkins 1986). We constantly move our eyes to cause the area of vision of most interest to be sensed by the fovea. If the entire retina were sensitive to the level of detail equal to the macula, the brain would suffer from severe sensory overload. The sensory overload problem is well understood from research on hyperactivity and auditory sensory overload. If the retina were reversed so the rods and cones faced in the direction of the light, the peripheral area would require a means of lowering the light intensity. Another example of the eye design that improves the image are the microsaccades, tiny unconscious jumps or vibrations that cause the eyeball to move back and forth and from right to left in small jerks. These movements are now known to underpin much of our ability to see (Martinez-Conde and Macknik 2007, p. 56). These movements occur constantly, even when our eyes are fixed on something, as they are most of the day (Martinez-Conde et al. 2006, p. 297). If the movement stopped, our vision would fade because unchanging stimulus leads to neural adaptation, causing our neurons to cease responding (Martinez-Conde, Macknik, and Hubel 2004; Martinez-Conde et al. 2006). Retinal stabilization techniques used in the laboratory cause the image to fade away and, conversely, the microsaccade movement also causes the image of the eye blood vessels, and to some extent the blind spot as well, to fade away (Engbert and Kliegl 2004). The microsaccades constantly refresh the image. Diseases that block microsaccade movement also cause vision to fade. Rather than being fired, our camera designer would no doubt be promoted for utilizing a less obvious, but a far more functional retina design. Gratitude rather than impertinence seems a more appropriate response to its ingenious design. I wish to thank Clifford Lillo, Dr. Tara Richmond O.D., Dr. Joseph Calkins, MD, now an ophthalmologist in private practice, formerly a professor of ophthalmology at Johns Hopkins University in Baltimore, Maryland, John UpChurch and Jody Allen, RN for their comments on an earlier draft of this manuscript. Abbott, N. J., R. Williamson, and L. Maddock (eds). 1995.Cephalopod neurobiology: Neuroscience studies in squid, octopus, and cuttlefish. 2nd ed. New York: Oxford University Press. Ainsworth, C. and M. LePage. 2007. Evolution’s greatest mistakes. New Scientist 195(2616):36–39. Ayala, F. J. 2007. Darwin’s gift: To science and religion. Washington, D.C.: Joseph Henry Press. Ayoub, G. 1996. On the design of the vertebrate retina. Origins and Design 17(1):19–22. Barash, D. P. and I. A. Barash, 2000. The mammal in the mirror: Understanding our place in the natural world. New York, New York: W. H. Freeman. Baylor, D. A., T. D. Lamb, and K. W. Yau 1979. Responses of retinal rods to single photons. Journal of Physiology 288: 613–634. Bergman, J. 2000. Is the inverted human eye a poor design? Journal of the American Scientific Affiliation 52(1):18–30. Calkins, J. L. 1986. Design in the human eye. 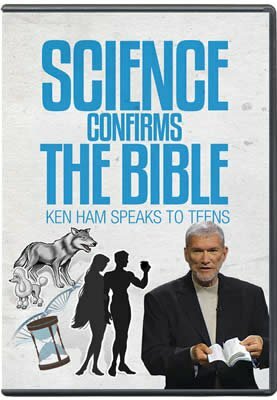 Bible-Science Newsletter, March. pp. 1–2. Dawkins, R. 1986. The blind watchmaker. New York: W. W. Norton. Den Beste, S. 2001. Retrieved from http://www.denbeste.nu/essays/humaneye.shtml. Dennett, D. 2005. Show me the science. The New York Times, August 28. Diamond J. 1985. Voyage of the overloaded ark. Discover 6:82–92. Dowling, J. E. 1987. The retina: An approachable part of the brain. Cambridge, Massachusetts: The Belknap Press of Harvard University Press. Edinger, S. 1997. Is there a scientific basis for creationism? The Congressional Quarterly Researcher 7(32):761. Engbert, R. and R. Kliegl. 2004. Microsaccades keep the eyes’ balance during fixation. Psychological Science 15(6):431–436. Ferl, R., R. A. Wallace, and G. P. Sanders. 1996. Biology, the realm of life. New York: Harper Collins. Frymire, P. 2000. Impeaching mere creationism. San Jose, California: Writers Club Press. Goldsmith, T. 1990. Optimization: Constraint, and history in the evolution of eyes. The Quarterly Review of Biology 65(3):281–322. Hamilton, H. S. 1985. The retina of the eye—An evolutionary road block. 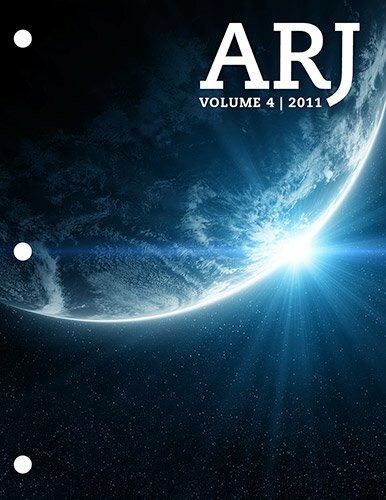 Creation Research Society Quarterly 22(2):59–64. He, S. and W. L. Davis. 2001. Filling-in at the natural blind spot contributes to binocular rivalry. Vision Research 41(7):835–840. Hitchens, C. 2007. God is not great: How religion poisons everything. New York: Twelve. Kolb, H. 2003. How the retina works. American Scientist 91(1):28–35. Jackman, S. L. et al. 2011. A positive feedback synapse from retinal horizontal cells to cone photoreceptors. PLoS Biology 9(5):e10001057 May. Land, M. F. and D-E. Nilsson. 2005. Animal eyes. Oxford, New York: Oxford University Press. Martinez-Conde, S., S. L. Macknik, and D. H. Hubel. 2004. The role of fixational eye movements in visual perception. Nature Reviews Neuroscience 5:229–240. Martinez-Conde, S., S. L. Macknik, X. G. Troncoso, and T. A. Dyar. 2006. Microsaccades counteract visual fading during fixation. Neuron 49(2):297–305. Martinez-Conde, S. and S. L. Macknik. 2007. Windows on the World. Scientific American 297(2):56–63. Martínez-Morales, J. R., I. Rodrigo, and P. Bovolenta. 2004. Eye development: A view from the retina pigmented epithelium. BioEssays 26(7):766–777. Miller, K. R. 1999.Finding Darwin’s God: A scientist’s search for common ground between God and evolution. New York: Cliff Street Books. Peet, J. H. 1999. Creation in the news: Dawkins blind spot. Origins 26:2–4. Sarfati, J. 1998. Book review: Climbing Mount Improbable. CEN T. J. 12 (1):29–34. Thwaites, W. 1982. Design, can we see the hand of evolution in the things it has wrought? In Proceedings of the 63rd Annual Meeting of the Pacific Division American Association of the Advancement of Science, eds. F. Awbrey and W. Thwaites. vol. 1, part 3, pp. 206–213. Watson, F. 2004. Stargazer: The life and times of the telescope. Cambridge, Massachusetts: Da Capo Press. Werblin, F. and B. Roska. 2007. The movies in our eyes: The retina processes information much more than anyone has ever imagined, sending a dozen different movies to the brain. Scientific American 296(4):73–79. Wieland, C. 1996. Seeing back to front. Creation 18(2):38–40. Williams, G. C. 1992. Natural selection: Domains, levels, and challenges. New York. Oxford University Press.